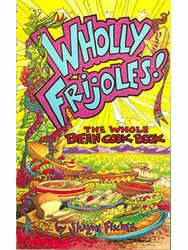 Recipes for salads, main dishes, side dishes and desserts with an emphasis on southwestern style. Fascinating bean trivia too! Beans are a great source of protein and fiber. Spice up your life with flavor, nutrition and fiber! Try the spicy garbanzo crunchies, black bean salsa, broiled falafel patties, basic bean loaf, lentil salad, calico bean sald, Southwestern navy bean soup, split pea soup, five bean soup, chalupa, black bean and brown rice burritos, frijole stuffed peppers, South of the border bean bake, Cowboy beans, Mexicali chickpeas, fava beans, bean stuffed potatoes, spiced bean cake, pinto bean fudge and so mucho more. Versatile, medium sized red and white beans that are suitable for any bean recipe. Small black bean with a smoky taste that lends itself to salsas, salads, casseroles, soups and stews. Sometimes called "cowpeas", a deep South favorite. Especially good cooked with ham or chicken. Large white beans that taste similar to green beans when dry. Great in soups. These were the only beans known in Europe prior to the discovery of the Americas. They can be eaten green or dried. Try them in a cream or tomato sauce. Sometimes referred to as "chickpeas". The nut like flavor and texture lend the ability to mix with other vegetables. A larger white bean with a mild taste. Good for making baked beans, soups and salads. Rich maroon color, firm texture and meaty flavor. Great for salads, casseroles and soups. Olive green in color, these round, flat seed from the pods of the lentil plant are a great source of protein and fiber. Referred to as "butterbeans" and "the aristocrat of dry beans" because of its large size and buttery flavor. Excellent in casseroles, soups and with smoked meats and cheese. Shaped like large limas, but are actually a dry form of fresh green limas. Cooks quickly, mashes easily. A small white dried bean related to the common kidney bean. It got its name from its use in the U.S> Navy. Fine for chili con carne, BBQ beans or other Mexican American beans favorites. Great in soups and stews. A spotted southwestern favorite. 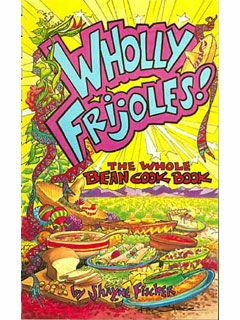 Cooked, mashed and fried again, they have become a Mexican food staple. Cousin of the kidney bean. A natural for chili and soups. A colorful addition to the three bean salad. This bean si smaller and firmer than the traditional Navy bean, and so it holds its shape better during long, slow cooking and baking. Native to China and India, the soybean is a source of oil, flour and a variety of other products. Dried beans, with exception of lentils and split peas, should be soaked in water before cooking. When cooking beans, make sure the beans are always covered with liquid. Cooking times can range from 1/2 hour to over 3 hours depending on size and density of beans and cooking procedure used. Normal yields of dried beans are one cupe yields aprox. 4 cups cookd beans.